I think we all have certain household chores that we don’t enjoy. Well, to be honest, I really don’t enjoy any of them but some I really try to avoid. Unfortunately, I can avoid them but only for so long, they still have to be done. I told my husband I am waiting for a cleaning fairy to show up but so far I am still waiting! For me, ironing is one of those chores that I try to avoid. You may be asking how do I iron a shirt? Well, I am going to try to help you with a few tips to help your ironing go smoother. 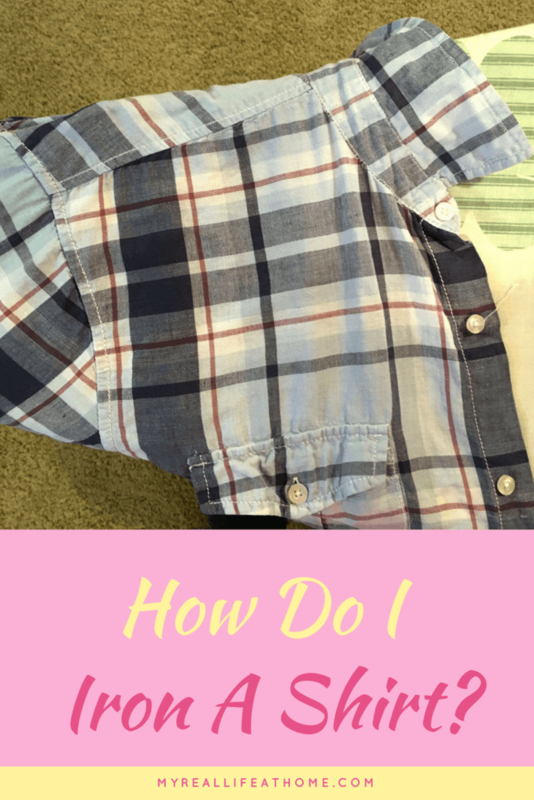 I usually wait until I have a basket full of clothes to iron – partly because I don’t like it, but also because it takes a little time to get ready so you might as well make the most of it. Set up your ironing board close to an outlet but make sure you have enough space around you to be able to move around. Plug in your iron and set it to the appropriate setting based on the clothes you are ironing. If your iron doesn’t have a spray option, you may want to have a spray bottle with you. I also have a pile of hangers so I can hang up the clothes up immediately after ironing them. After all, who wants to go through the chore of ironing, just to set them down and have them get wrinkled again! There is some debate on what order you iron each part of your shirt. In reality, if you iron it well, it probably won’t matter too much. That being said, this is the way I have found works the best. First, you will want to iron the yoke of the dress shirt. The yoke is the part of the shirt that goes around the shoulders and neck. 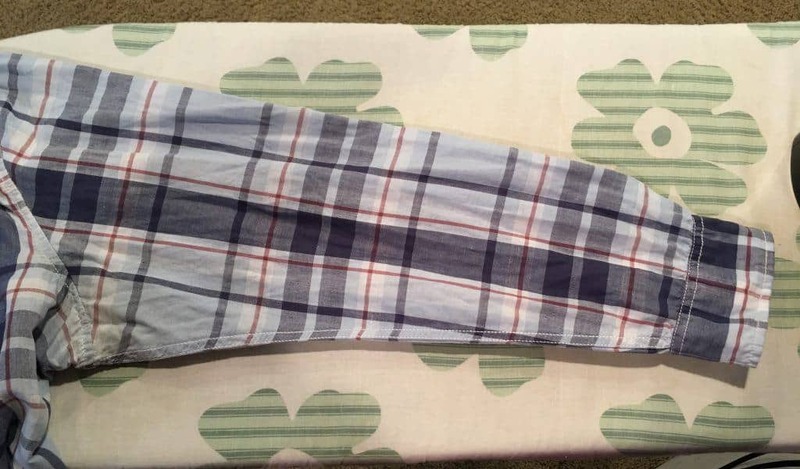 Slide one arm of the shirt onto the narrow end of your ironing board. Run your iron back and forth on the front part of the yoke until there are no wrinkles. Then slide the shirt until the back part of the yoke is now on the ironing board and iron as you did the other side. Repeat with the other sleeve. I then iron on the inside of the shirt, starting with one front side. Like with the yoke, slide the iron back and forth until you have covered the section and there are no wrinkles. I slide the shirt around so after I do one front side, I then iron the back of the shirt and then the other front section. Next, I iron the sleeves. Lay one sleeve flat on the board and smooth out any wrinkles with your hand. Iron one side of the sleeve and cuff and depending on the fabric, you may need to flip it over and iron the other side as well. This is generally if the fabric is thicker such as cotton. I then move on to the collar. Lay the collar flat (not folded over) and run the iron back and forth a few times. Lastly, there may be some areas that need touching up such as the front pocket of a shirt. 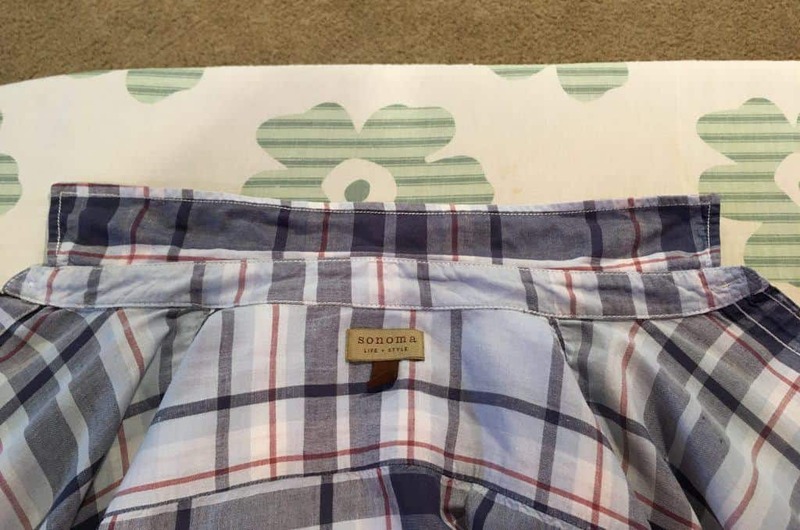 If this is the case, lay that section of the shirt on the ironing board right side up and iron the pocket. 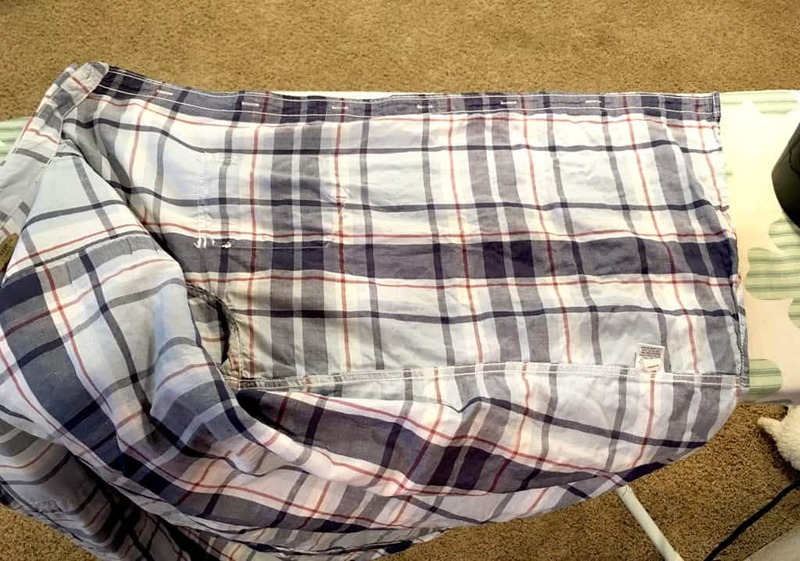 As soon as I am finished ironing, I hang the shirt up to make sure it does not get wrinkled again. The directions for ironing dresses and skirts are very similar. 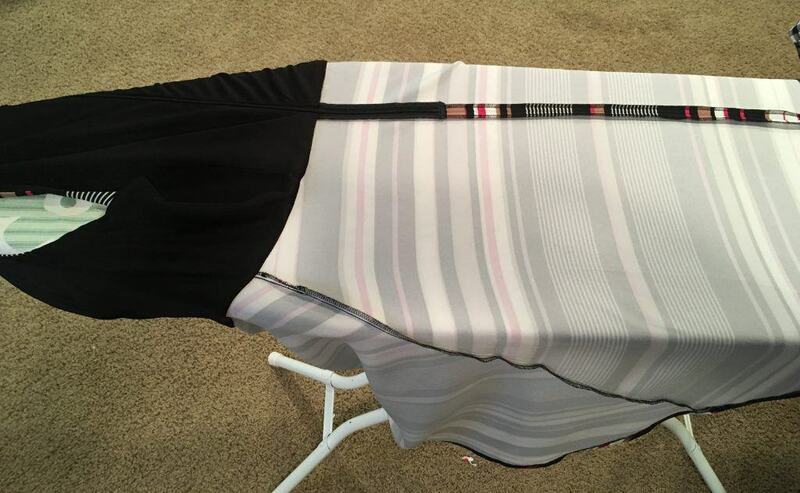 I turn the dress or skirt inside out and slide it onto the ironing board. It will look like the ironing board is wearing the dress. It really doesn’t matter where you start ironing the dress. Position it on the ironing board so that there is a seam at the edge of the ironing board. This will help you remember where you started if your garment isn’t overly wrinkled. As with the shirt, run the iron back and forth over the entire garment so the there are no wrinkles left. Gently turn it inside out. If the dress had a gathered seam or other features like that, you will probably have to do some additional touch-ups. With the dress turned right side out, use the narrow tip of the iron, and iron up towards the seams. Here are some additional tips that may help. Make sure you match your iron settings to the material you are ironing. If you aren’t sure what the setting should be, check the material on the tag of your shirt. Your iron should specify what material should use what heat level. For heavier fabrics such as cotton, you may need to spray the shirt with water using your iron (if applicable) or water bottle. Don’t over spray the shirt, you want it damp, not wet. Don’t iron over buttons. Using the narrow point of the iron, run the iron around the buttons. For an extra crisp and smooth shirt, iron both sides of the shirt. For fewer wrinkles, hang your garments up to dry. This will reduce the number of wrinkles that form on the clothes. For some shirts, it works so well I can get away without ironing them at all! As much as I dislike ironing, there is something so clean and crisp about a nicely ironed garment. It gives me a similar feeling to looking at a clean room in my house. When you sigh “ah, looks good”. If you enjoyed ironing, you are in luck! As soon as the garment is worn, you will have to iron all over again. I struggle sometimes when I spend an afternoon ironing and the next day I see my husband wearing one of those freshly ironed shirts. I want to say “I just ironed that” but of course, the point of ironing the shirt is so that he can wear it. Going back to the scenario I just mentioned, it is like having that clean room turned back into a mess but that’s life! 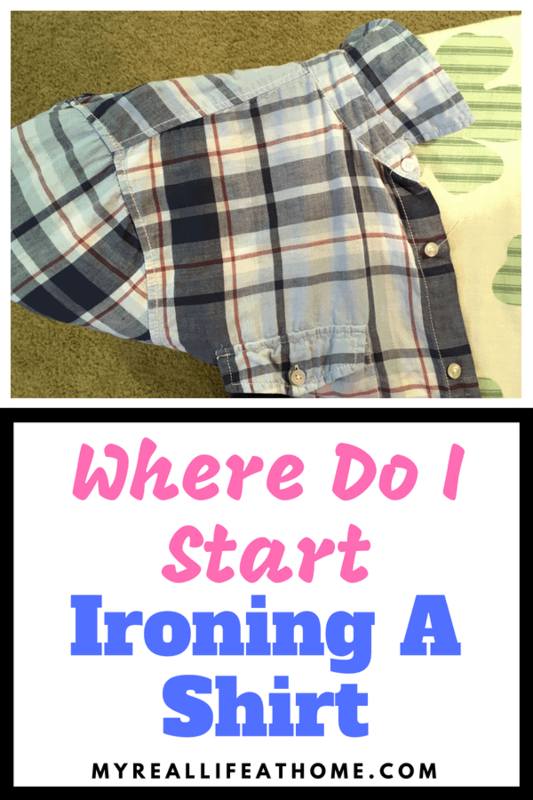 I would love to hear if this blog helped you or what your thoughts are on ironing. Please leave your comments or questions below in the comment field. Thank you for sharing. I can never figure out how to iron my clothes. And I will admit I have burned a few. so this def helps me out! I found this funny since my mom taught me how to iron a shirt when I was 8 years old. Most people don’t even own a ironing board and iron anymore.